The precursor company to Pro Global Media Ltd ('Pro') was founded in October 1996 by Paul Brown (the ‘P’ in Pro), and Robert McCaffrey (the ‘Ro’ in Pro), to publish the original Asian Cement Magazine. Pro quickly diversified, to produce European, Middle Eastern and American cement magazines. Starting in 1997, Pro also started to publish a series of cement industry Databooks. In 1998 the company commenced publication of Global Gypsum Magazine and Global Lime Magazine, and also founded its first website - www.propubs.com. In March 1999, Pro organised its first conference, the Global Gypsum Conference in Bangkok, quickly followed by the European Cement Conference in Berlin. The company has since organised over 80 conferences and exhibitions, attracting up to 450 visitors each, in Aachen, Abu Dhabi, Amsterdam, Ankara, Antwerp, Bangkok, Barcelona, Berlin, Brussels, Cancun, Chicago, Cologne/Köln, Dresden, Dubai, Düsseldorf, Geneva, Hamburg, Hanoi, Helsinki, Houston, Istanbul, Jeddah, Krakow, Kuala Lumpur, Las Vegas, London, Miami, Moscow, Mumbai, Munich, New Orleans, Paris, Prague, Puerto Rico, Riga, Rio de Janeiro, Riyadh, San Francisco, Shanghai, Strasbourg, Sydney, Tehran, Toronto, Vancouver, Vienna and Washington DC. Starting in 2007, Pro re-oriented its conferences, away from general ‘regional’ conferences, and towards ‘must-attend’ specialised niche events, such as refractories, mortars, environmental impact abatement, quality control and alternative fuels. This resulted in increased attendance, an improved producer/vendor mix and very high approval ratings. In 2000, following rationalisation in the global cement industry, Pro combined its cement magazines and the Global Lime magazine into GCL: Global Cement and Lime Magazine, which was renamed Global Cement Magazine in October 2006. In mid-2008 Global Cement Magazine added coverage of alternative fuels and raw materials (including slag) to all issues of the magazine. 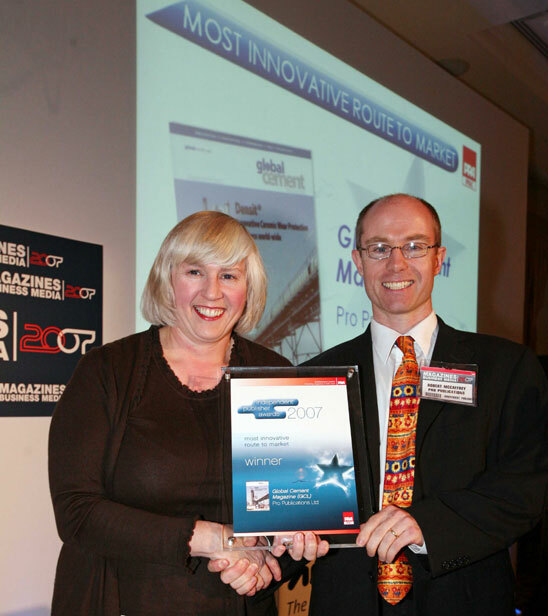 Starting in 2004, Pro was one of the first companies in the world to offer its magazines for free download to registered users around the world, and this was recognised in 2007 with the presentation to Pro of the Periodical Publishers Association’s ‘Most innovative route to market’ award. In October 2006, Pro's Global Slag Magazine was featured as the guest publication on the BBC's 'Have I got news for you' satirical comedy topical news quiz TV programme. In 2008, Pro reorganised all its websites to provide customer-centric subject-specific portals, featuring industry news, articles, videos and information: these are now at the heart of the company’s communications strategies. In January 2008, the company published its Corporate Social Responsibility and Environmental Policies, as well as codifying 'The Pro Way'. In 2008, 2009 and 2010, Pro continued to provide much-needed market information to the building materials industries, during the worst global recession for 80 years. 2011 saw the greatest changes to the company's operations since its inception. 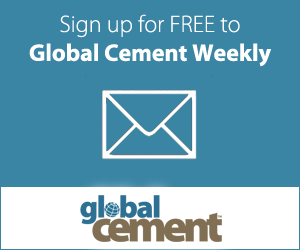 With an entirely new web site, on-line conference registration, greatly enhanced digital publications, on-line visitor preference registration (via www.proids-online.com), newsletter publication (Global Cement Weekly and Global Gypsum Monthly) and greater reader interaction, Global Cement and Global Gypsum have become among the leading sources for industry information. The company continues to offer innovative events to the building materials and other industries. We celebrated our 20th full year of business in 2017 - and in the future we will see continuing evolution for Pro's business-to-business sector. Whatever your business, we look forward to helping you achieve your aims.